The Rugby Football Union has unveiled the fixtures for the 2018/19 season of Tyrrells Premier 15s that will kick-start on 18th September. The opening round will see last season's champions Saracens Women heading to Memorial Ground to take on Firwood Waterloo Ladies while the other eight teams will also be in action on the same day. The tournament will comprise of 18 rounds with the final to be played on 27th April next year but this time there will be just one-off semi-final that will be played at home of the first and second ranked sides. RFU Head of Women’s Performance Nicky Ponsford is confident of building the success from the previous season and believes it will benefit the young talents in the country in their aspiration to feature for the national team. 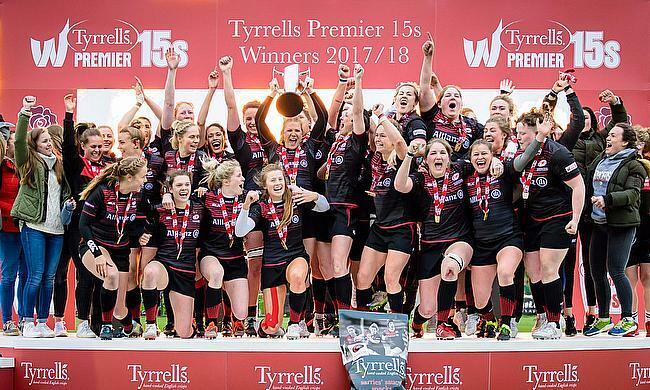 “We look forward to building on the success of the Tyrrells Premier 15s following a great first season and this promises to be another hugely exciting year for the competition. “Last year we unearthed talented new players who went on to represent the Red Roses and we look forward to growing our player pool as we continue to raise standards, further developing the links between club and country. The tournament will not have promotion or relegation for the first three seasons and will continue to operate in the league format with home and away fixtures.